Burkert has a reputation as one of the premier manufacturers of pneumatically operated control valves worldwide, the simple modular design, suitable for use across industries and applications, belies the accurate and advanced capabilities of their range running from the highly accurate globe valves, high flow angle seat valves and hygienic diaphragm valves. However, they have always been limited by the requirements of using air as the motive medium. With the introduction of their new electromotive actuator Burkert aim to set new standards with regards to the performance, reliability and affordability of electrically actuated control valves. 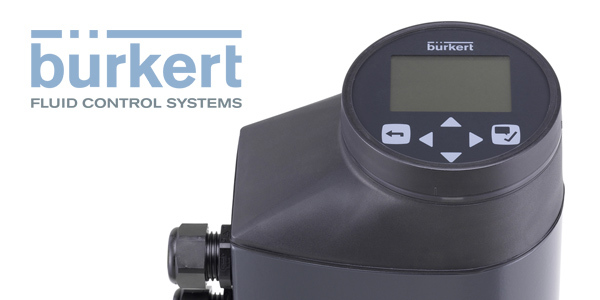 Kieran Bennett from Burkert says: "Our Electromotive Process Valves are a real game changer. They are the fastest operating electric control valve on the market. The ease of configuration makes them some of the most flexible as well." Designed with a view to eliminating the traditional weak points of electrically operated control valves the Burkert Electromotive product family are particularly well suited to applications with stringent requirements for accuracy and speed of control. The performance of the new Electromotive valves is really the standout feature; an adjustable control speed of 6mm/s doesn’t sound that much until you look at the speeds of other electric control valves (0.1mm/s to 3mm/s). Along with control options that allow the customer to tailor the valve to their application including definition of stroke and closing limits and soft approach of end positions. With the unique ball-screw operation the Electromotive actuators from Burkert mean that when compared to pneumatic spring balanced actuators they can move to position with virtually no delay, without overshooting and remain stable regardless of fluctuations in the media pressure. Making sure they are suitable for even the most difficult situations a SAFEPOS energy pack can be utilised to make sure that in the event of power-failure a safe position can be achieved, together with the integral manual override, situations that would previously have required a pneumatic valve and the costly pipework to go with it, can now ultilise the electromotive valves. Applications where the use of compressed air is not desired or possible e.g. large area storage systems with long-distances to the single valves as well as systems for mobile decentralised water treatment. Applications where fast, precise control is required e.g. engine test rigs, temperature control in heat exchangers and modern food and beverage systems. Valves Online have recently specified the type 3361 Electromotive Globe Control valves for a customer. Large scale water storage tanks to supply cooling towers. Water is supplied from the Mains Water system; the mains water provider has specified that the rate of change cannot exceed 0.27l/s. The water flow required to fill the tanks in the time scale required is 10m/s. Media is clean water at 5 Bar. No compressed air was available because of the location. Use of 0-10V control signal. Satisfied with the calculations and design undertaken the customer required five units which will be delivered within five weeks from the date of the order, with a further three required in the next construction phase. For help with your flow control requirements do not hesitate to get in contact with the technical team at Valves Online by telephone on 01822 855 600 or by email on sales@valvesonline.co.uk.